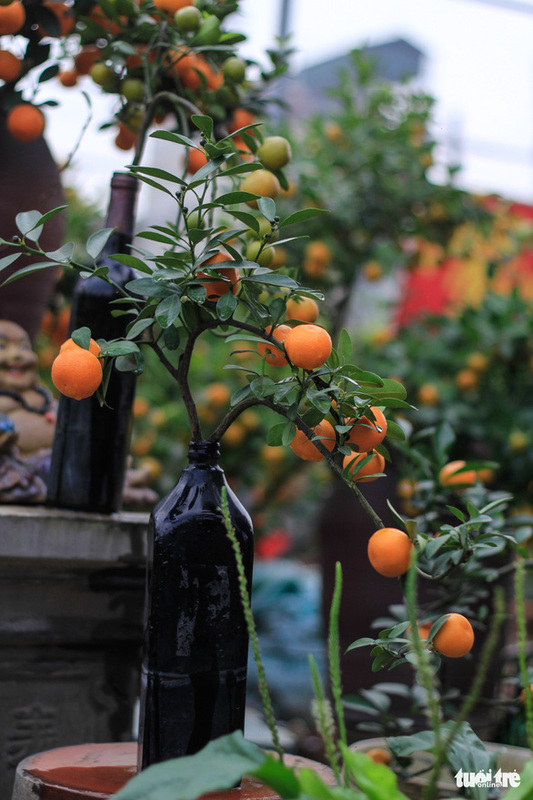 A Hanoi man with a green thumb has invented a new way decorating houses during Tet – by growing unique kumquat bonsai trees inside glass bottles. 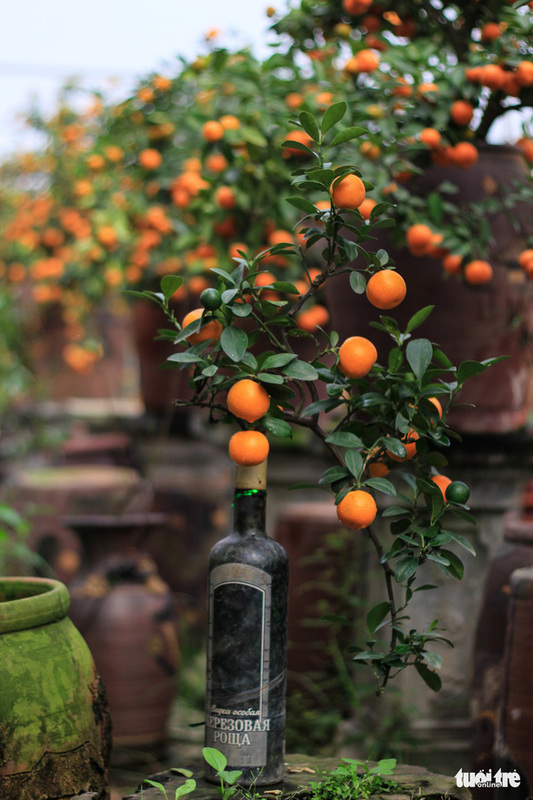 Tu Lien Village in Tay Ho District is known for growing one of Vietnam’s best-tasting and most beautiful kumquat trees. 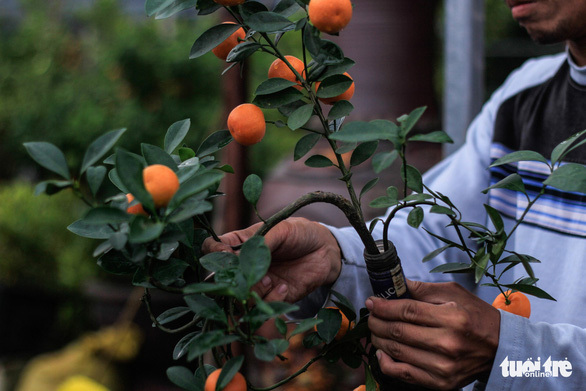 People from around the region flock to this small village every year around Tet to buy kumquat trees for decoration. 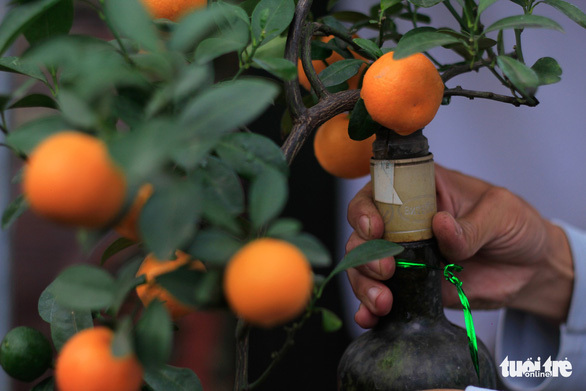 This year, Tu Lien villager Phan Minh Quang, 35, has come up with a new way to lure his customers by developing a unique and arduous technique of growing kumquat trees inside glass bottles as bonsai trees. Quang said the idea came to him after he watched a documentary on television showing a Vietnamese couple drawing patterns on empty bottles and selling them for VND200,000-300,000 (US$9-13) apiece. 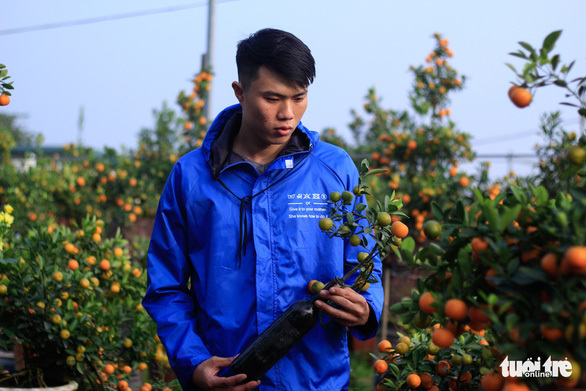 His mind set on innovating the way decorative kumquat trees are grown, Quang began experimenting with growing the flowering plants inside glass bottles. 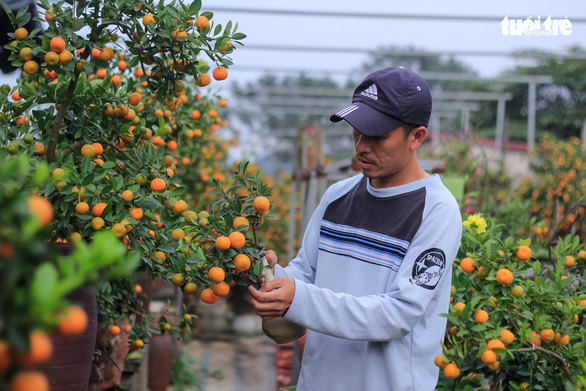 The most challenging task is watering the plants, which Quang has to do up to four times a day during hot summer days. 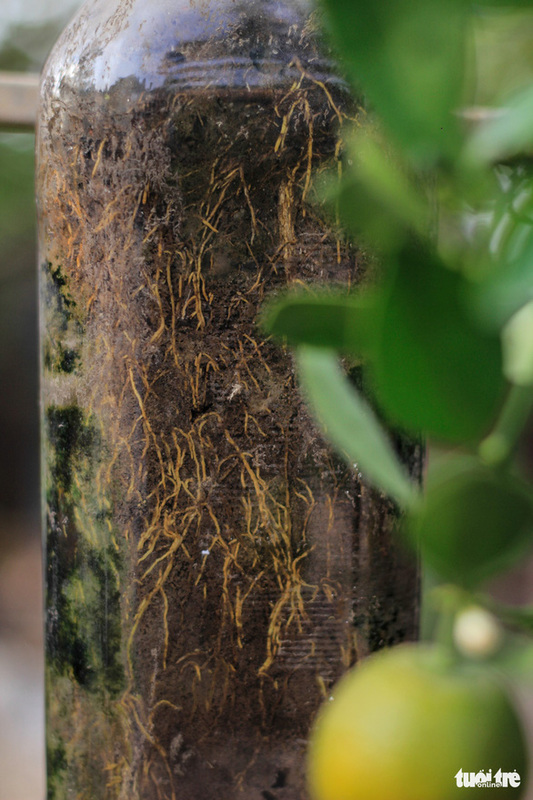 This year, he is putting a hundred of the unique decorative trees on the market, most of which have been pre-ordered at VND300,000 ($12.90) to VND3 million ($130) per tree. 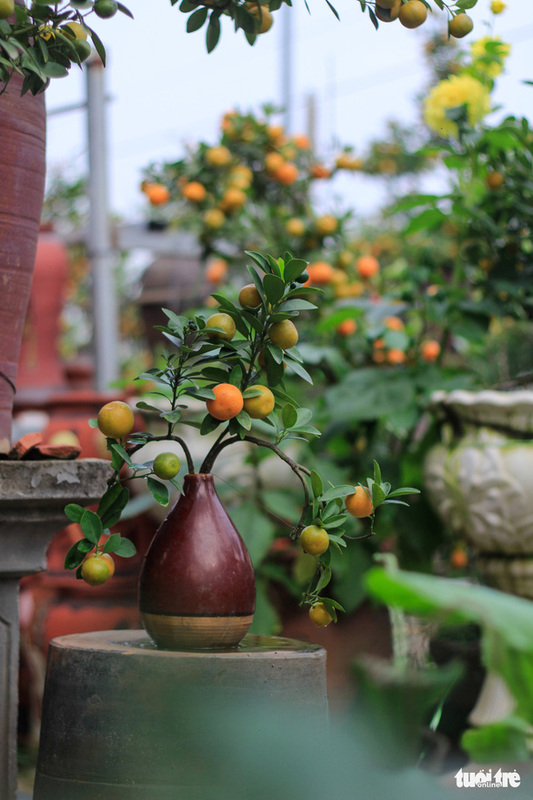 “My family has been putting up kumquat trees as Tet decorations for years, but this is the first time that we have seen them in such unique shapes,” said Tan Tuong Nhan, a Hanoi resident.